Home » Crypto Journal » What could we learn from 44 Bitcoin forks? What could we learn from 44 Bitcoin forks? It seems like a day can’t pass without hearing news about some new fork of the Bitcoin chain being created. Bitcoin Cash was the initial runaway son, which happened when a group of Bitcoin community members led by Roger Ver decided that they don’t like where their currency is going. They felt that Bitcoin development isn’t aimed at making it a currency for the new era but rather at making it a rigid, sturdy behemoth that serves best as a digital investment asset. A plan was devised by Bitmain, the Chinese mining giant, which showed how Bitcoin’s problematic 1MB block size could be improved. This was initially seen as a contingency plan that allows Bitcoin community to perform a hard fork. And a part of that community decided to act upon the plan, when Bitcoin ABC was unveiled in mid-2017. The project had its name changed into Bitcoin Cash to the proposal of another Chinese mining pool, ViaBTC. Bitcoin Cash, the first Bitcoin fork, was fully launched in early August when Bitcoin holders who applied to become a part of the BCH community received 1 BCH token for each Bitcoin they held. About 10 months have passed from that day; in the meantime, Bitcoin forks started popping up like mushrooms after a rain. A total of 44 hard forks have been created since Bitcoin Cash first became active. Projects like Bitcoin Private (shilled heavily by John McAfee), Bitcoin Diamond, Bitcoin Gold, Bitcoin Atom etc. are just the top of the forking iceberg and there don’t seem to be any signs of this trend slowing down. Most experts, and the market itself, seem to agree with this sentiment that these new Bitcoin forks are simply looking to acquire short-term profit by abusing the Bitcoin name. And there is some hard, real evidence that this is true. Actual forks like Bitcoin Cash look to change the Bitcoin protocol for the better (or at least for what they think is better). They also branch off the Bitcoin chain by having a group of miners on the Bitcoin blockchain mine out an invalid block, one that fits the new fork’s protocol. 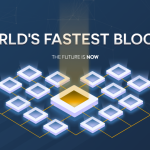 This block is usually seen as the forks genesis block. Most of the Bitcoin “forks” that are currently on the market don’t follow these guidelines. Their protocols are basically the same as Bitcoins as they simply copy the entire BTC codebase and rebrand it as a new hard fork of the Bitcoin blockchain. These projects are actually airdrops, as holders of Bitcoin are distributed the coins airdrop-style in an effort to kickstart the project’s economy. And even though the disingenuous nature of calling your project a Bitcoin hard fork while it clearly isn’t one is obvious, people will still keep creating them as there are gullible people out there who will fall for the gimmick. Such bad practices only tarnish the name of Bitcoin and fuel the nocoiners #NeverBitcoin fires. We can at least take comfort in the fact that those gimmicks don’t have any long term value and most crypto investors won’t be affected by them directly. Tricking gullible people into investing is, however, the ultimate reach of these forks. None of them will ever see any legit use case, no serious expert will join their camp and they will end up forgotten in a year or two. Forking an open-source code is easy, hijacking bitcoin brand as well – but providing real value, garnering serious community support is the hard part. There are naive people out there, but most of the crypto community is sane enough to spot the scams and label them as such. The most important part of any crypto project are people, after all. Without real human support and activity, you can generate as much hype as you can, once the hype settles down, you are left with a scam project with no value. 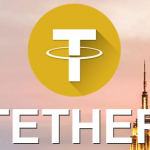 Bitcoin (BTC) Price: Will the today's Tether $250 million print bring back the bulls to the market?